We invested in state-of-the-art quilting technology so that you don’t have to break your neck to meet your deadline. Rush processing is available. 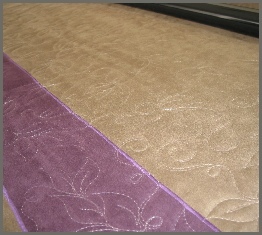 Sew n’ Sew Quilting offers Machine Quilting Services from start to finish, from basting all over, to custom quilting. No job is too large. Have a special occasion coming up? 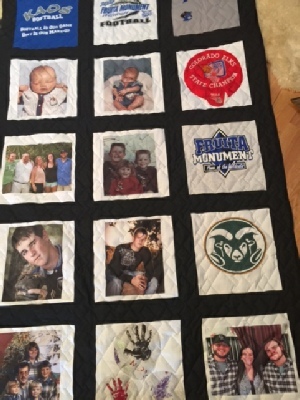 We can make you that special memory quilt, t- shirt quilt, or wall hanging. 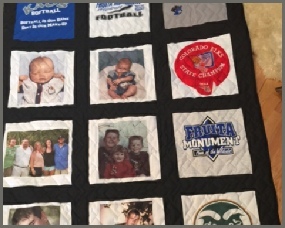 Need a keepsake for that special little one coming – we can put together a Quilt just for him, with his or her birth information embroidery right now the quilt. Perhaps you’re wanting a new look for your edroom? We can also make large quilts. No quilt is too big for Sew n’ Sew! Think it’s too pricey to finish your quilt? 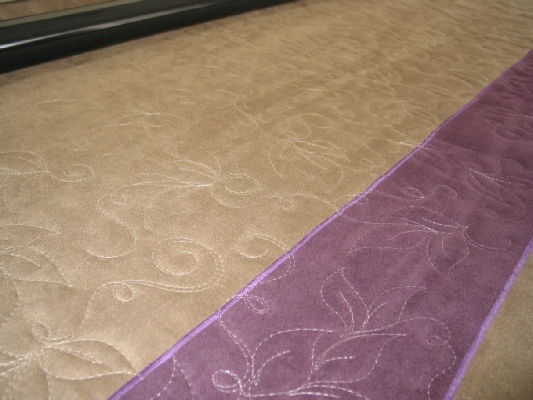 You may not know how reasonably priced our quilting services can be. 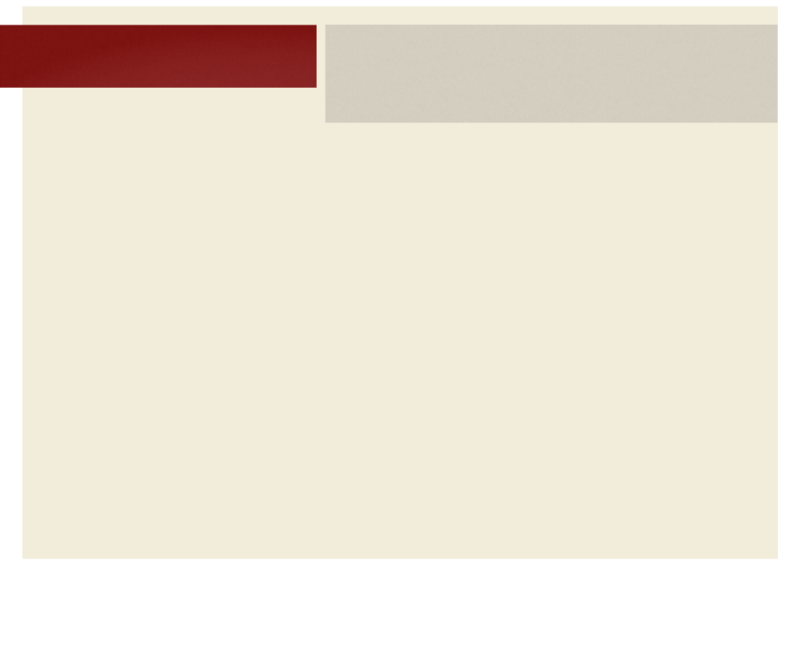 Give us a call today if you have any questions and we can help you finish in no time. It’s not a quilt till it’s quilted! 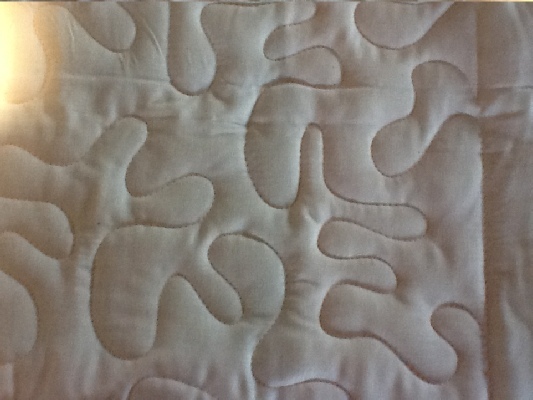 We have many different quilting patterns to choose from. The photo to the right is an example of Stippling. 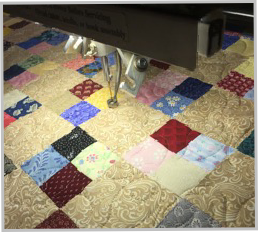 How to prepare your quilts for longarm quilting. Make sure your borders lie flat. Press the top to ensure that the seams all lie flat (either open or pressed to one side). Repair any seams that are separating. Sew a line of stay-stitching 1/4 inch from the outside edge of the top.